Is There a Wrong Way to Make Money Writing? Is There a Right Way to Go Broke Writing? Over the years it has been beaten into me that it is unequivocally better to have no publication credits than it is to publish something on your own. Self-publishing is the last resort, the refuge of the manifesto or vanity project. It tarnishes the author, marks them as rash, masturbatory, willing to operate outside the system. Of course this assumes that the system is perfectly serviceable, in tune with the realities of modern consumer habits, and that anyone with sufficent talent reserves will eventually catch the eye of an industry gatekeeper and embark on a traditional, fulfilling career. In the lounge of our graduate writing department a framed sweatshirt was perched above a bookcase filled with volumes written by alums. It read Careful, or you’ll wind up in my novel. During the wine-stained receptions that followed readings by visiting authors we defanged the threat and directed it inward. Careful, we said, or you’ll wind up in my self-published novel. 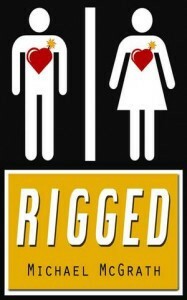 Almost exactly one year ago I published a short story, “Rigged,” through Amazon’s Kindle Direct Publishing platform. It is currently available for purchase at the bargain price of $.99. Last week I received a 1099 from Amazon Digital Services, detailing my income from this product. Since going live on February 23, 2012, I have earned $10.66 in royalties from a total of 24 units sold. I still enjoy the story (a satire set in a containment facility for “explosive citizens”) as much as a writer can enjoy something written over a year ago, rejected everywhere, and ignored online, and I still stand behind the e-book. Despite some minor, infuriating formatting issues, it remains prominently displayed on my website. It probably took me twelve hours to write and another three hours to edit. I then spent a few hours emailing it to editors and submitting it to journals and contests, printing out hard copies, composing cover letters, buying stamps, making SASEs. After a few rejections trickled in I made some revisions and sent it to a handful of other outlets. All told I have spent approximately twenty hours on the story and related administrative tasks. Before attending last year’s AWP (Association of Writers and Writing Programs) conference (my first), I decided to make the story available online so I would have something tangible to talk about over drinks with strangers and new friends. In these conversations I referred to my story as a “Kindle Single,” which was misleading, because Kindle Singles are something else entirely. Kindle Singles are selected, edited, published, and promoted by Amazon. Among other notables, Richard Russo and Stephen King have Kindle Singles. I had submitted my story to the Kindle Single program and it had been rejected. So what I have instead is a self-published e-book. But that doesn’t sound as good, because, you know, it doesn’t rhyme. My cousin/landlord Sarah was my first Amazon customer. She wrote me a positive review (“awesome fiction for the price of a hash brown!”) and I sat back, ready to watch the hash browns accumulate. My (confused) mother bought one, my mother’s neighbor bought one, my sister got it free through her Amazon Prime account. A few Kindle-less friends asked for a copy after I posted links on social media networks, and so I sent them a gratis PDF. That was the extent of it. My usual post-publication blues were a bit more intense than usual, shot through with a streak of shame. This past summer a friend designed a new, more professional cover for my e-book. This face-lift prompted a renewed bout of vigorous PR. Please consider purchasing and enjoying my Kindle Single for $.99! I tweeted two or three times. You may notice I was still committed to the Kindle Single lie. I rationalized this mischaracterization in various ways: I was similar to a waiter who didn’t correct a Coke order with a Pepsi retort; I was employing a brand as accepted cultural shorthand, a la Frisbee or Kleenex; I was making it easy for my target demographic (elderly family members) to remember; I was seeking vindication from the Amazon editor who had rejected the story; I was hoping to catch the eye of the handful of literary types who follow me on Twitter. I have conflicted feelings about Amazon as a writer, reader and consumer. But the truth is that I want a real Kindle Single as much as I want a story in the Corncob Quarterly or the Tin Can Review. Maybe more. I want to be cradled in the bulky arms of a real marketing department. I want to become a glossy commodity. I want to be converted into equity. I’m ready! I’m still relatively young and I consider myself writer-handsome on good stubble days. While literary journals retain their appeal, especially to the MFA students who intern for them, Amazon offers swift exposure and no financial ceiling. Many journals function like salons and foster a community of like-minded artists, but others are insular tide pools stocked with outsized egos, secret societies that run on pretension and dysfunction, hotbeds of financial and sexual misconduct. Some respond to an overflow of submissions with insultingly long response times, brief and unpredictable reading periods, reading fees and of course selecting pieces from outside the slush pile, returning again and again to an incestuous network of friends, lovers, colleagues, students, mentors and potential benefactors. Even the most well-meaning outlet will overlook countless deserving submissions, with unpaid readers scrambling to get through their assigned slush puddles, hoping to impress their superiors with their speedy judgment. What struggling writer has the time to research all of these places? Who can afford to subscribe to even a handful? Isn’t it ethically problematic to submit four stories a year to a publication to which you would never subscribe or otherwise read? And if the stars do align and your story runs in The Haystack Review what are the chances of being paid? What are the chances an agent pulls it from the pile? More likely, your reward for penetrating the fortress will be a free glass of room temperature wine at a reading six months after your story is accepted and maybe a few contributor copies. I’m not sure there’s any real wrong way to make money writing. The question may be, is there a right way to go broke writing? Would I ghostwrite a warlord’s memoir? Three years ago I wrote essays for a rich tween’s boarding school applications. I’d probably accept a Halliburton Fellowship or a grant from BP. When these accomplished visiting writers gave craft talks or readings, many alluded to stark financial realities, the constant hustle, juggling residencies and other short-term appointments. They had bad haircuts, celebrated career milestones with Thai take-out. Then, one spring day, our professor moderated a discussion between us students and an insanely successful writer of legal thrillers with a vacation home in the area. The man was handsome and debonair, wearing a houndstooth blazer with a purple pocket square, but he seemed uneasy, slightly suspicious. He must have sensed an impending shakedown. Wary of us, unsure of what we wanted from him, he didn’t dole out advice or talk much about his process. He appeared embarrassed, almost guilty. He seemed to take little pleasure in his work and even less in the fame it brought (the money he tolerated). He said that when the bookstore in town requested autographed hardcovers, he went over at night and signed them alone in the dark. The professor and the lawyer performed an awkward dance, circling each another like swans, respective weapons (unimaginable wealth, critical acclaim) drawn, trading passive-aggressive praise. Like the lawyer, we were much more interested in his money than his books or his thoughts on the future of publishing. I suddenly remembered reading that he had rescued an esteemed literary journal from fiscal ruin after an employee scandal. Michael McGrath tweets as @marcomcgrath. He has a tumblr.